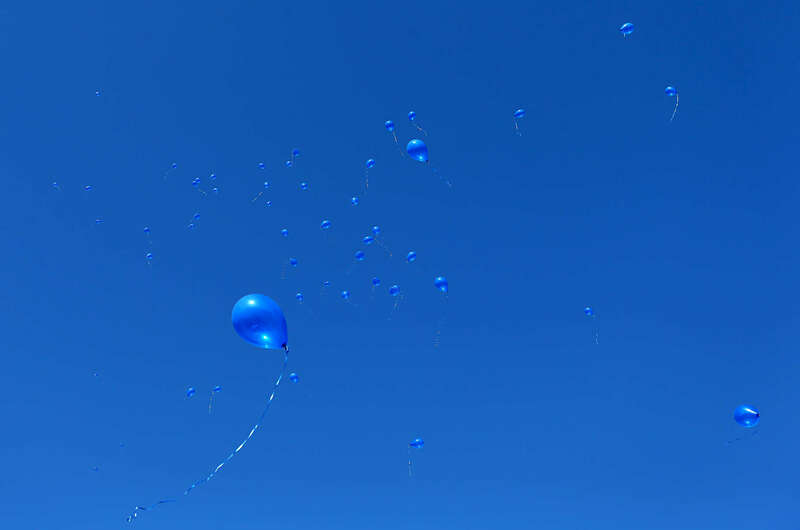 Blue balloons rise into the sky above Gilson Brown Elementary School in Godfrey on Thursday, Jan. 14, 2016 during emotional ceremony in memory of Romell Jones, a former student at the school. Romell, 11, was killed by a stray bullet fired from a passing car as he was waiting at the Alton Acres public housing complex for his basketball coach to pick him up for practice. All the students at the school gathered on the playground for a brief ceremony where Romell's fifth grade classmates released balloons in his memory and presented a few gifts to Romell's family who attended the event.